5 Beds 3 Baths 1 Partial Bath 2,054 Sq. ft.
Lots of space at an affordable price! 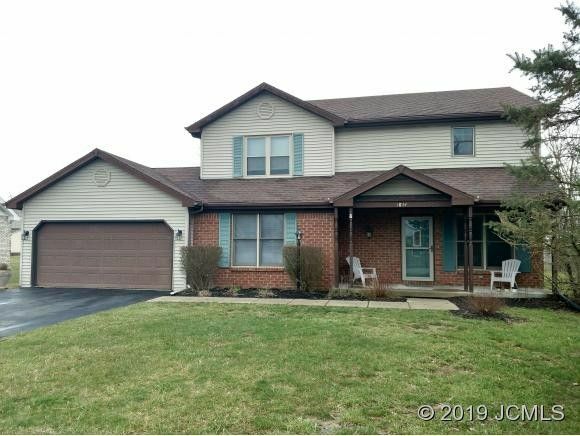 This updated home features 4 Ã¢ 5 bedrooms, 2.5 baths a 2 car attached garage and a large yard with deck. The recently finished 5th bedroom is currently being used as a kidÃ¢s gaming room. Other recent improvements include, New: Electric Heat Pump & AC, Refrigerator, Microwave, Plank Flooring & water heater, which is under warranty until 2021. Main Level Master Bedroom with huge walk in closet and private bath. Close to Clifty Falls State Park. GÃ¢s Lawn care mows yard for $25.